If you're planning on remodelling, restructuring or redeveloping your property, many local authorities will wish to see a professional Energy Statement alongside a planning application. At Falcon Energy, we know the importance of this documentation and our expert team have years of experience at providing such a statement to ensure your project runs smoothly and in accordance with various rules and regulations. An Energy Statement is a legal document required for a property or building project to prove that the development will not only be sustainable but will meet local energy policies. From CO2 emissions to renewable energy targets, this statement will demonstrate how specific energy-based objectives will be met in order to allow a planning application and project to move forward. By providing a valid Energy Statement, and proving how any objectives can be met through the likes of proper ventilation solutions and efficient heating and lighting, you'll prove and enhance your dedication to a more sustainable property. With year's of knowledge, experience and expertise, Falcon Energy are your number one choice when it comes to obtaining and understanding an Energy Statement for your property or building project. 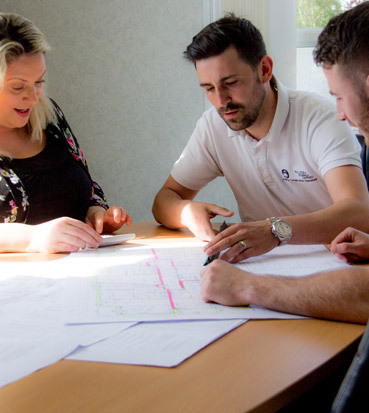 We know the importance of having a thorough statement that not only proves your sustainable efforts but outlines any crucial steps to making your plan that bit more environmentally and energy friendly. All of our Energy Statements are completely bespoke and unique to your property; we'll take the time to research, plan and come up with cost-effective, sustainable solutions especially for you. SAP and SBEM calculations will take place early on to kick-start the process and the Falcon Energy team will provide a detailed, unique report that's not only compliant but easy for you to understand. We work throughout the UK. To find out more about our Energy Statements services, or any other services that Falcon Energy have to offer, give us a call today on 01403 253439 or email info@falconenergy.co.uk. We'd love to help. An energy statement is required to prove that a property or building project is sustainable and will meet local energy policies. It is a legal document covering aspects such as CO2 emissions and renewable energy targets. For planning applications for developments and properties, it provides information on how energy-based objectives will be met for the planning application to be successful. What can you expect from an energy statement? Once you receive your energy statement, a member of the team at Falcon Energy can ensure you understand each of the areas covered and any next steps, if required. If you live in Greater London you need to be aware of the London Plan. It’s a strategy for the area involving economic, environmental, transport and social frameworks for developments up until 2031. Any local plans submitted by the London borough need to follow the policies of the London Plan. It requires a 35% reduction in CO2 emissions over and above the building regulations of 2013. This must be evidenced by SAP Calculations or SBEM Calculations. Depending on the plans, it may also require minimum performance against the Code for Sustainable Homes or BREEAM.